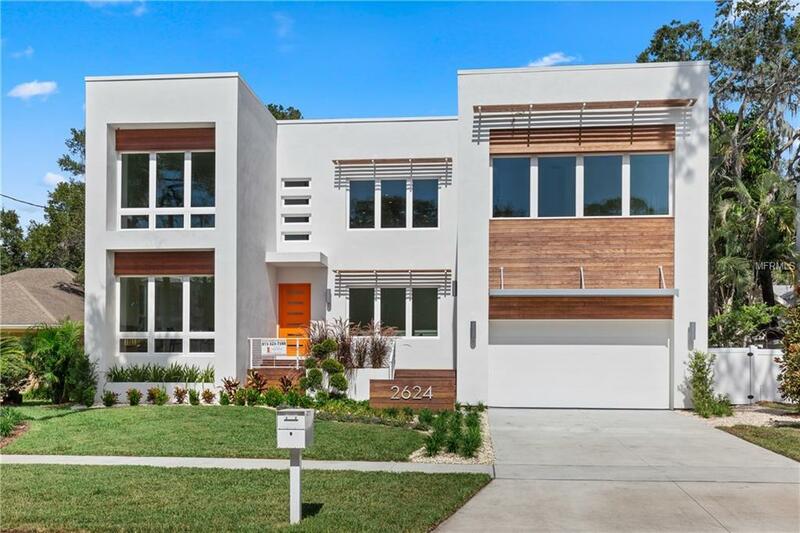 This amazing Sunset Park pool home is not your typical new construction but a unique Modern design that incorporates open spaces and lends itself to entertaining inside and out! 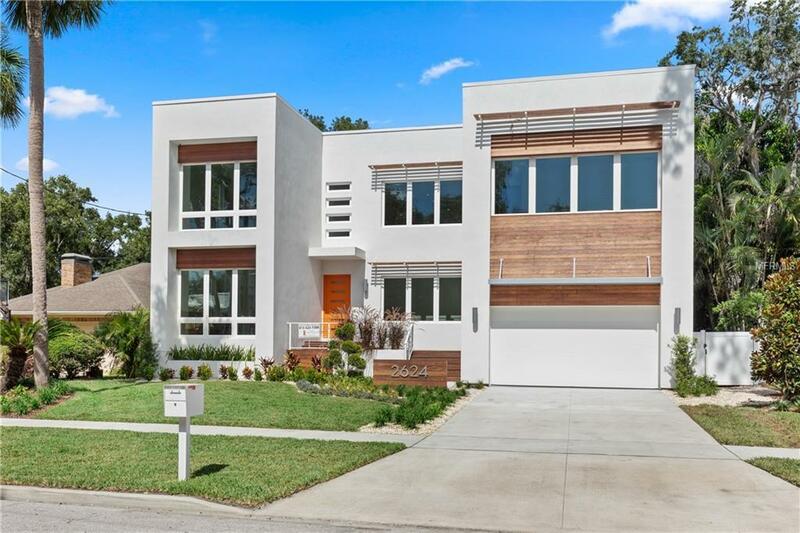 The home offers a flexible floor plan with high end contemporary finishes and an open concept that can accommodate various lifestyles. 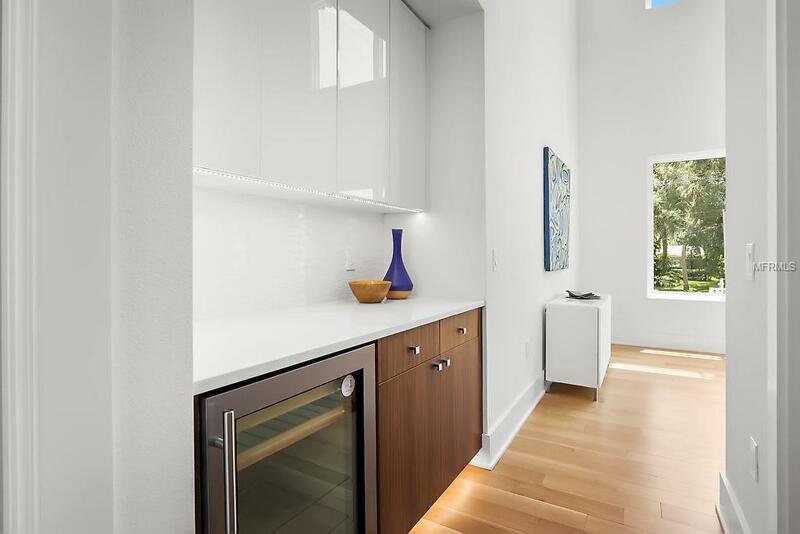 The kitchen is equipped with European style high gloss acrylic and walnut cabinets, JennAir stainless steel appliances, an incredible island w/ Alpha white waterfall quartzite top and a breakfast area all overlooking the pool and lanai. The kitchen shares space with the 2 story great room w/ 21' ceilings w/ a floating stair with bridge and stainless steel cable rails. 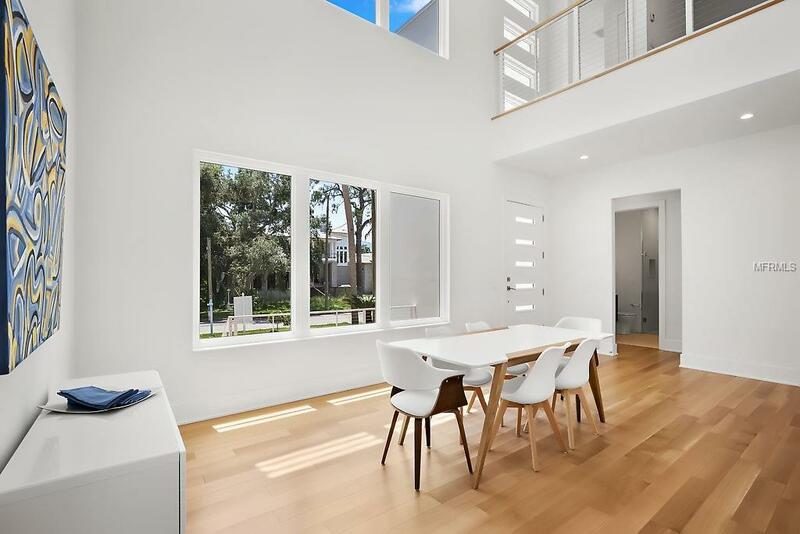 The home flows perfectly for large parties or intimate get-togethers with a formal dining room with volume ceilings and an abundance of windows. The flexible design on the main floor offers a master suite and an extra flex room plus a downstairs office/in-law suite with a center hall bath. Upstairs features a loft area, 2 bedrooms with a connecting bathroom, an en suite, and a huge media room, gym, or play room! Enjoy Florida living at it's best with a spacious lanai w/ gas fireplace and heated pool and spa all on one level and very private with tons of palm trees surrounding the back yard. Oversized 3 car tandem garage plus storage. Close proximity to Tampa International Airport, International Plaza, restaurants and the beaches!